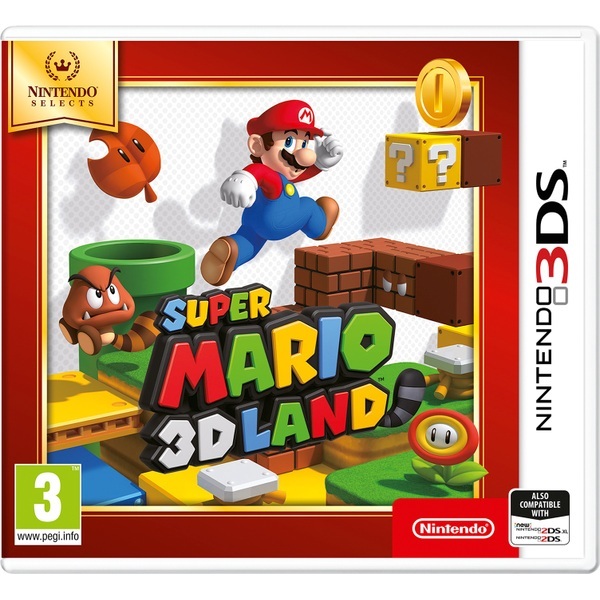 Those who love Mario games will find everything they want and much more when they play Super Mario 3D land. The game reinvents the platforming adventure of the series and brings it to the Nintendo 3DS, 3DS XL and Nintendo 2DS. Those who love Mario games will find everything they want and much more when they play Super Mario 3D Land. The game reinvents the platforming adventure of the series and brings it to the Nintendo 3DS, 3DS XL and Nintendo 2DS.Not only does this mean you’ll get a 3D Mario game that plays just like a 2D Mario game, but you’ll also experience a level of distance, depth and speed that is truly exhilarating. Making running, jumping and stomping on your enemies across all the fabulous levels of the game seems that much more fun.As with all the games developed specifically for the Nintendo 3DS system, you can also enjoy it in 2D. However, to better judge depths and distances across various environments, you may want to indulge yourself in the full 3D effect. Not onlydoes this element offer another reason to buy SUPER MARIO 3D LAND, it also helps more accurately judge things like how far it is to the next platform or question block! There are plenty of features to enjoy, with outfits including the fan-favourite Tanooki Suit, which allows you to attack your enemies in a unique way or just float gently down from greater heights. This kind of accessible yet challenging gameplay will go down well with those who buy or download SUPER MARIO 3D LAND and want familiar gameplay, as well as those looking for a new adventure! So head for the end-of-level flagpole and make full use of Mario's signature moves, new skills and ability to find hidden shortcut and secrets, as you take on new enemies like tall stacks of Goombas, ink- spitting Piranha Plants and Goombas with tails!